According to a recent e-commerce study, consumers abandon carts when shipping rates are too high, or they don't want to create a profile. 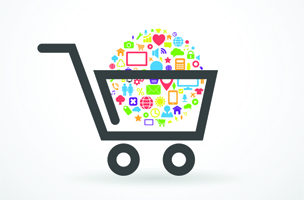 While e-commerce is a growth market, many customers abandon purchases in the cart. If they do make a purchase, most customers don’t feel inclined to share that purchase on social media. According to this year’s VWO e-Commerce Survey, businesses may be missing out on a hidden opportunity. One theme that emerged is the practice of abandoning carts on e-commerce websites. Twenty-eight percent of shoppers said they abandoned a purchase because shipping costs were too high, 23 percent of shoppers didn’t want to create a user account, and 16 percent of people were just researching, and had no intent to purchase. It is possible to entice consumers back. Fifty-four percent of shoppers said they would purchase products they abandoned if they were to be offered a discount. Seventy-two percent of millennial consumers 25- to 34-years-old also said they’d return for a discount. Consumers exhibit some interesting behavior when it comes to social sharing. While 53 percent of millennials say that Facebook keeps them informed about the latest in online shopping, 74 percent of online shoppers don’t post status updates about their purchases. Our intention with the report was to enable brands to better understand how people are spending money online, as well as the factors that affect their purchase behavior. In the highly competitive e-commerce marketplace, even a slight marketing misstep can be costly. When armed with consumer intelligence, marketers can insure that they’re optimizing their websites and winning the conversion game.